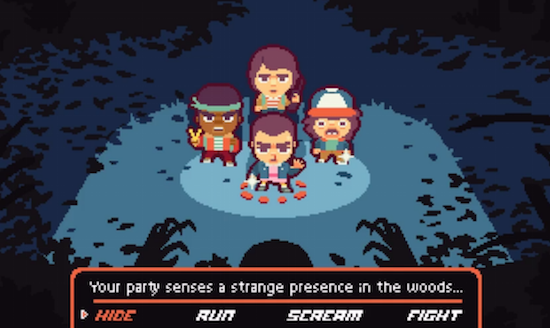 A new game based on the Netflix series Stranger Things is due for release sometime next year. As Variety reports, the retro-style RPG is being produced by Netflix with the help of independent gaming developers Bonus XP. A press release announcing plans for the game describes it as a "meticulously crafted Action Adventure RPG that pays homage to the 16-bit era." It will be available on Xbox One, PlayStation 4, Nintendo Switch, Mac and PC, while an edited version will also be released for mobile devices. Bonus XP previously worked on another game based on the series, which also adopted a retro style.